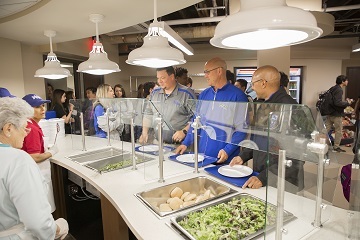 The new commons, cafeteria, and kitchen are in use! See the beautiful pictures below. 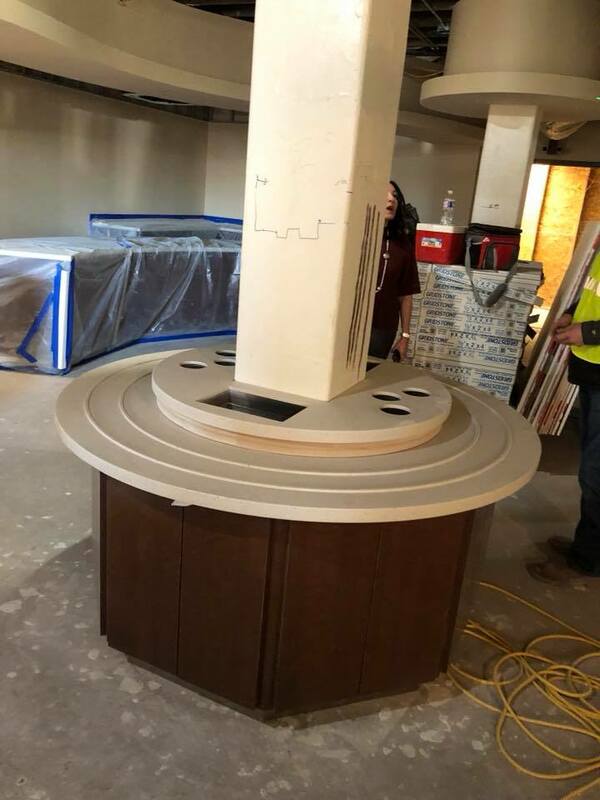 The details in the new building are really coming to life this month! 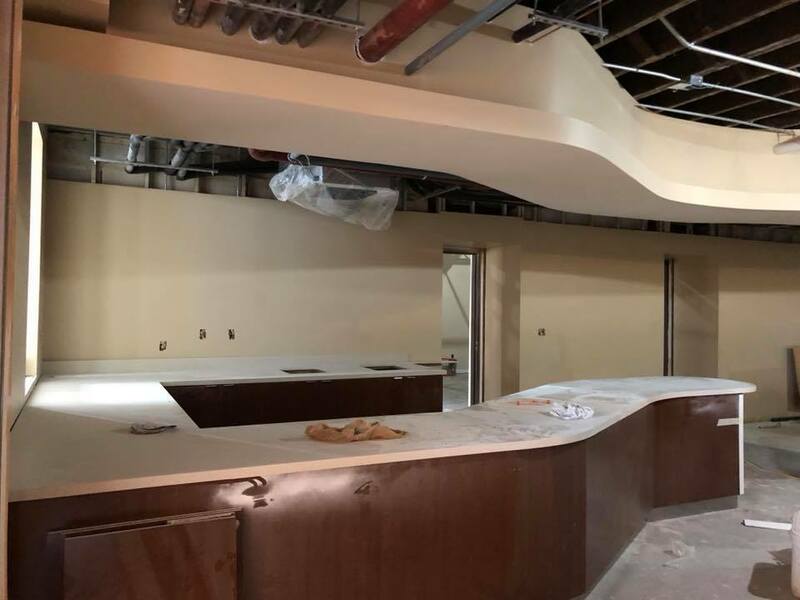 In the pictures below you will see the beautiful new serving line area, which was the old cafeteria. Also, you will see the brick inlay in one of the entry ways to the new cafeteria/commons area. These bricks are the original 1903 bricks that came from the 1920s building that served as a locker room, music room, and robotics room over the years! The details are really moving along.. more to come! Things have really been moving on the project during December! Here is a quick list of the top five projects that took place this month..
1)The new, HUGE, beautiful walk-in freezers are IN! 2)The flooring in the main building is going in the last week of December! Right now, the floor is leveled concrete and has been prepped for the Terazzo flooring. 3)The drywall is up throughout the majority of the new building! 4) The new, HUGE bathrooms are tiled! 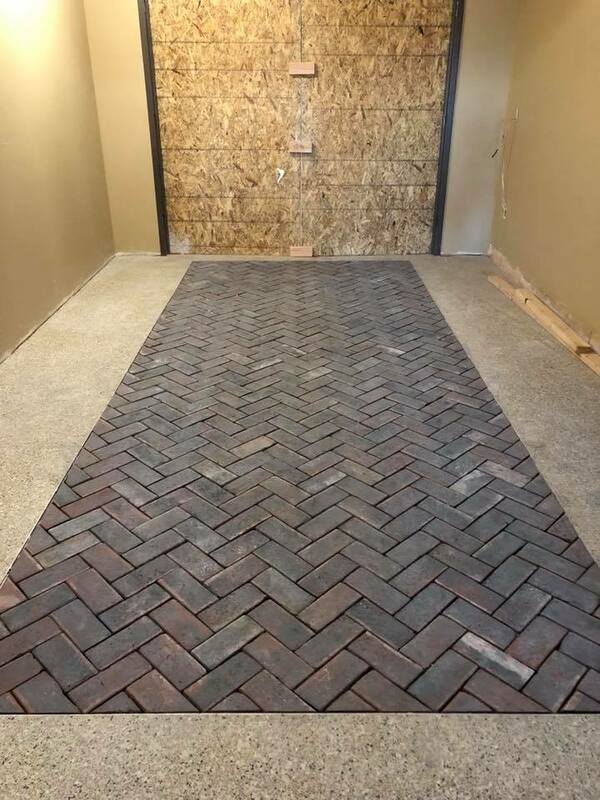 5) The bricks that were saved from the old annex building (old football locker room, music room.. and so on) are soon to be laid within the floor of the current new buildings hallway. 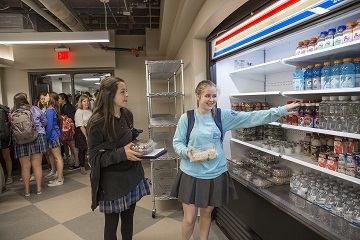 This hallway connects the current building hallway to the new building! 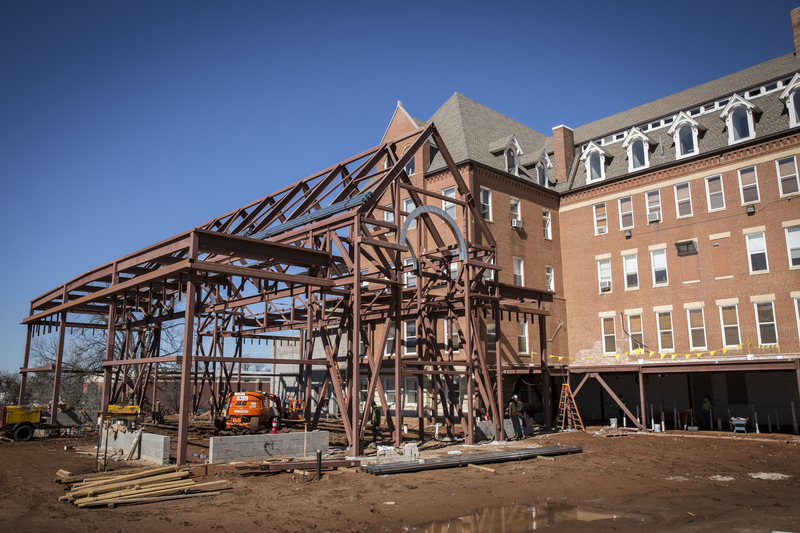 If you haven't had a chance to stop by and see all of the recent progress on the building this fall, we have you covered! 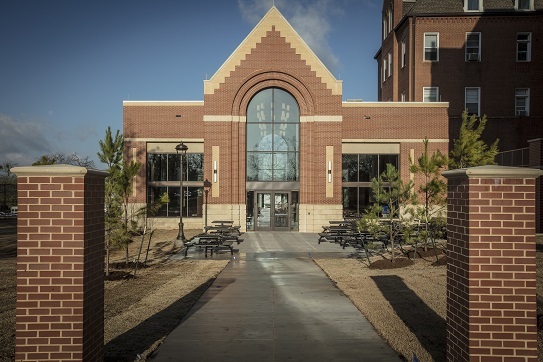 Enjoy a quick tour of our new building and the current projects inside! 1)Two temporary walls are being installed in senior hallway to prepare for all of the dust that comes with expanding the doorwars from the main building to the new building. These walls will help control dust. (2) The new entry into the West back foors is nearly complete! 3)New range hood recently installed in the new, 2,000 square foot kitchen! 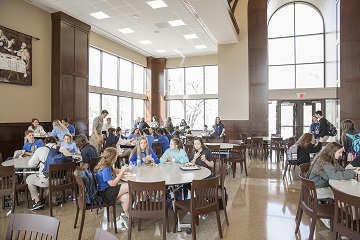 4) Inside view of the old cafeteria remodeled. 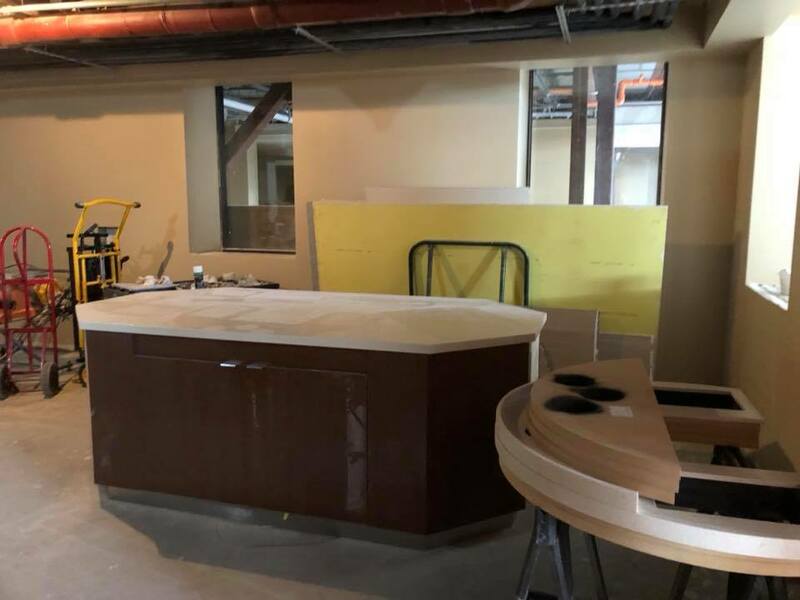 This area will be the serving line area. 5)New bathrooms in the new commons area, directly under new SE outside plaza. 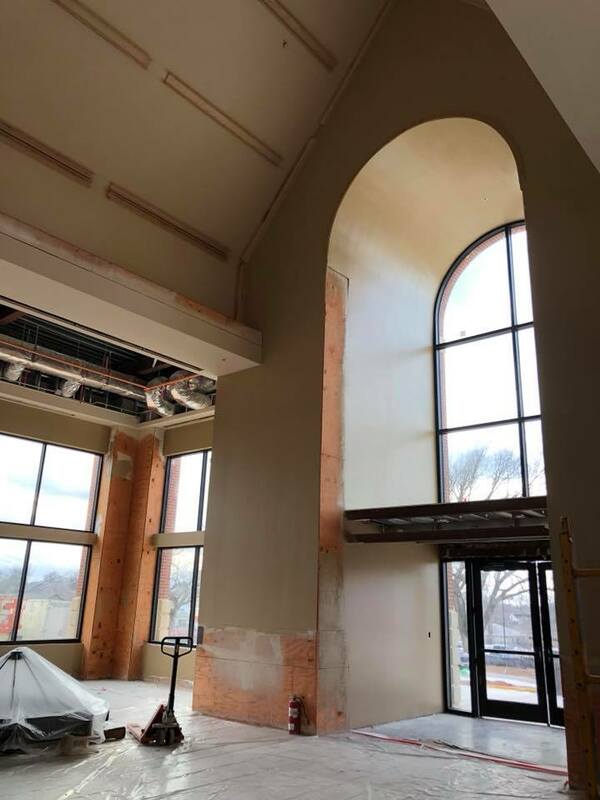 6) HVAC duct work going in over the beautiful new arch! 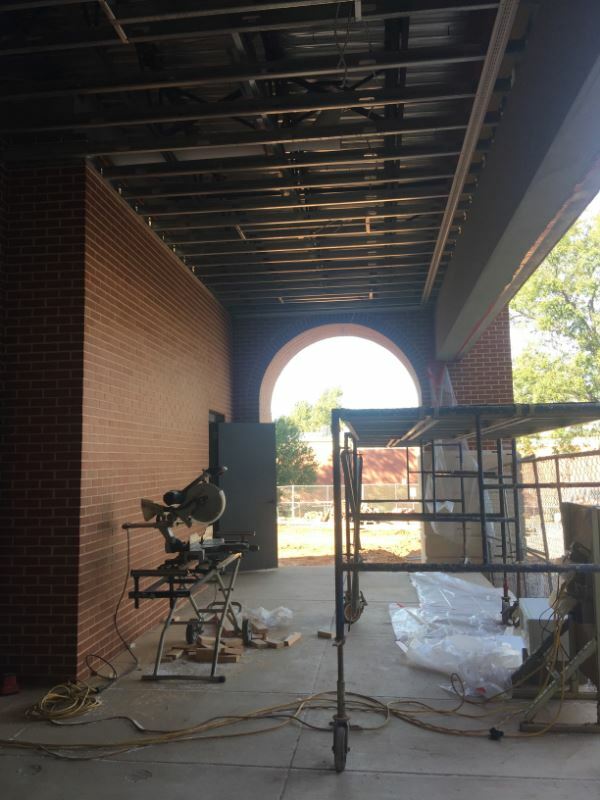 7) An inside view of the East arched entry of new building! 8) View of the west side of campus and new concrete walkway from student parking lot to new building. 9)Newly remodeled PLUSS classroom. This classroom is in senior hallway and use to be the "Senior Lounge". 10) View of the front corner of the current circle drive and of the two new outside plaza areas. This area will supply new parking for visitors for our new building and a space for outside dining. Brick is going up all around the outside of the new building this week! It is really becoming easy to now see what the new building will look like now! Take a quick drive by the school soon and see for yourself.. it's beautiful! 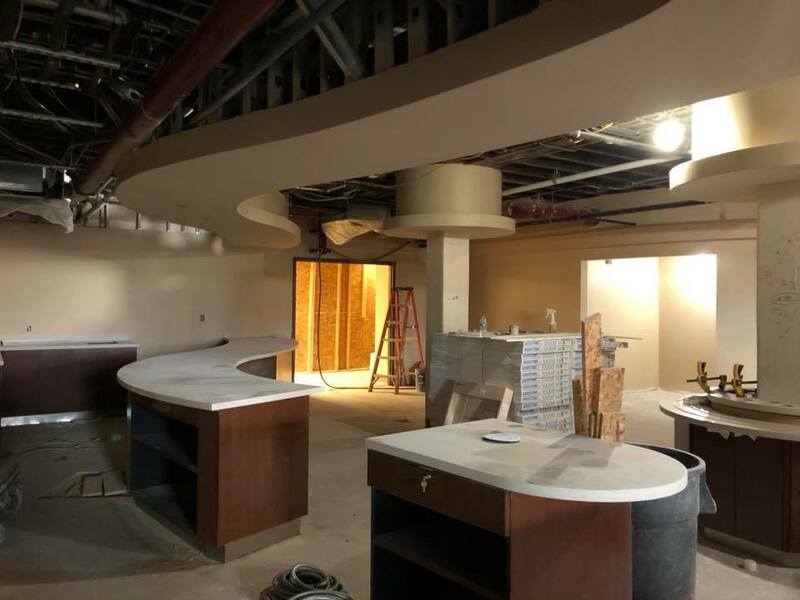 We took a tour of the inside of the new building this week! The building has such a different, grand look from the inside! We are getting so excited for our Mount family to use this building daily.. SOON! It's almost time for bricks! The west side of campus has an entirely new look. A new walk way is being created from the student parking lot to the new building. The new path is wide and creates a grand entrance to the new building! Also, it is easy to now see how the new building and the old cafeteria will mold together to become one. 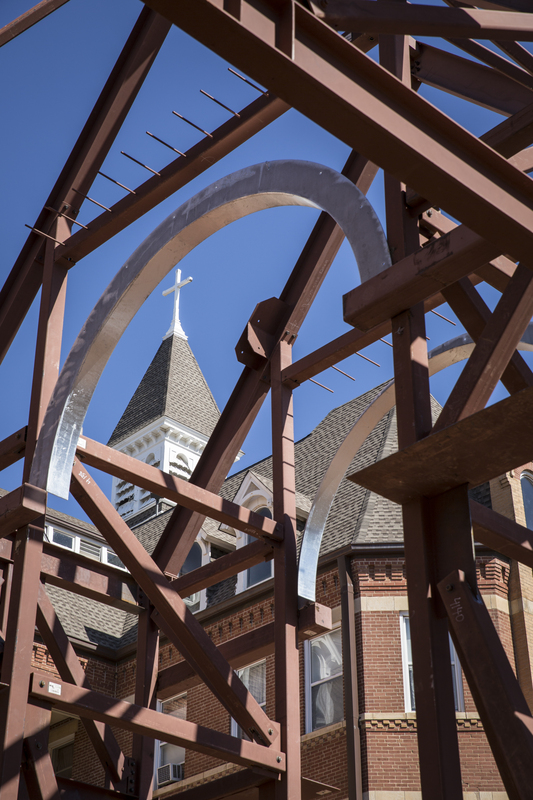 Stop by campus and take a look for yourself when you can, soon! 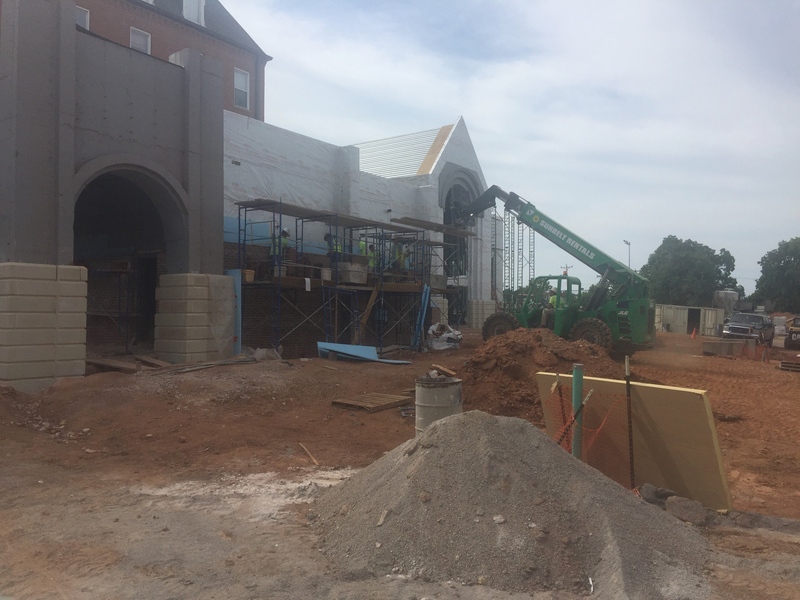 This week, we are seeing progress on the arch over the entrance of the new building! We are starting to see the shape of the building! 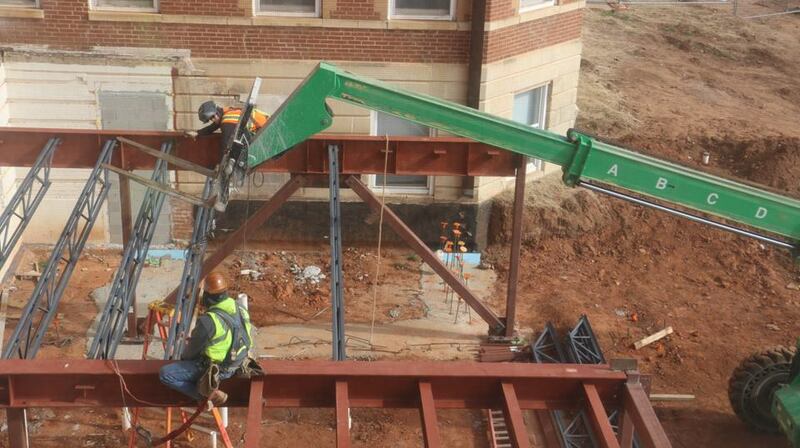 Right now, new steel is going up daily to create our beautiful new structure! More and more steel going up every day! It's getting louder on campus... a good loud! Progress! The progress from over the holidays is easy to see! Things are starting to take SHAPE! Going... Going... UP.. the wall goes! We are seeing a lot of movement this month and can't wait to see the progress when we come back from Christmas break! The look of the south side of campus is starting to change. The footings are VERY visible now and the concrete is beginning to be poured! WOOHOO! If you look closely in the pictures, you can see the outline of the new building! When we post next.. chances are you will see a lot of concrete! Moving and shaking.. things are absolutely moving and happening around here! But, in the midst of all the shaking, our beautiful brick wall that was installed when the student parking lot was re-finished, has shaken a bit too much! This week, our construction company is putting the wall back together! Things are happening around here! WOOHOO! The footings have been poured and the piers are being installed. The layout of the building is really starting to become easy to see! Flexibility has been our word around here these past two weeks. We aren't currently able to use the cafeteria, due to the cafeteria wall being torn down. Lunch is served in the auditorium for now. We are making the best of it and keeping our eye on the prize.. new builing.. new building! A lot of "little things" are going on right now to prepare us for the upcoming "big things"! It's an exciting time to watch the construction process. Stop by and catch a glance soon, if you can! "Underground utilities are currently wrapping up with completion of this phase estimated to be 10/14. Piers and footings are scheduled to start on 10/13 and will be ongoing until approximately 11/11. The first signs of construction "coming out of the ground" will be structural steel, and it will start around the first of December and continue until the end of January." We have new pipes! The sewage pipes are being installed this week and you can even see a bit of the building footprint. Up next, footings and a lot of demolition over fall break next month! Rain, Rain, GO AWAY... we want to finish our new building some day! It's been raining on campus, a lot. We are heading into day five of a rain delay. Things are pretty muddy around here! 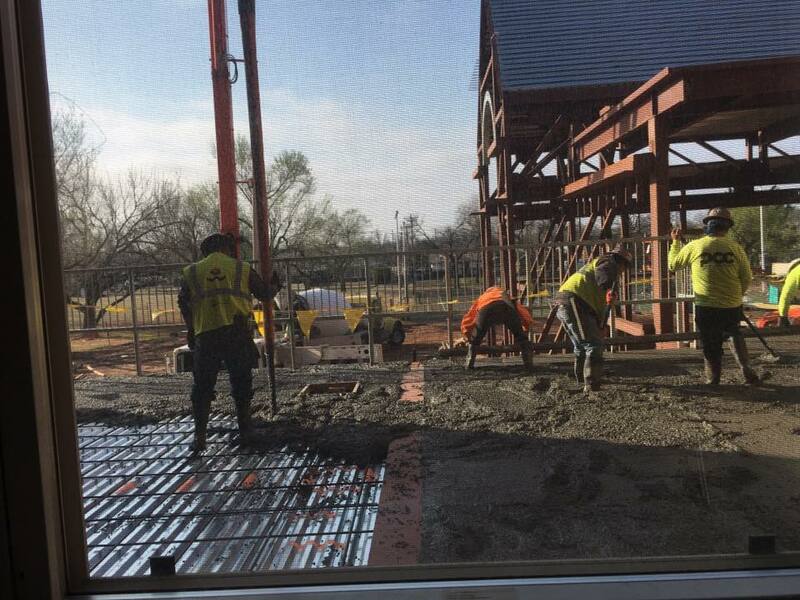 The next step in the process is to pour the footings for our new building! We can't wait to show you pictures of the footings, very soon! WE ARE GETTING A NEW SEWER LINE! Not too exciting? We think so!! It is part of the process and is causing quite the mess on the southwest side of campus. Our students are being directed around the mounds of dirt that are accumulating as the new pipes are installed. See the pictures below for a visual of our beautiful new sewer line! • Demolition is complete and dirt has been brought to campus to prepare the grounds for new foundation.